Despite careful planning and management of the frequency spectrum, interference is still an everyday problem for many radiocommunications services. The effects of radio interference are as diverse as the causes. For example, interference to a TV picture is merely annoying. Dropped mobile phone calls can translate into lost revenue (or even lost customers) for network operators. Especially for critical and security-relevant wireless communications services, interference needs to be resolved with high priority and maximum efficiency. To do so, it must first be verified, identified and then located. Rohde & Schwarz offers comprehensive tools for these measurements. 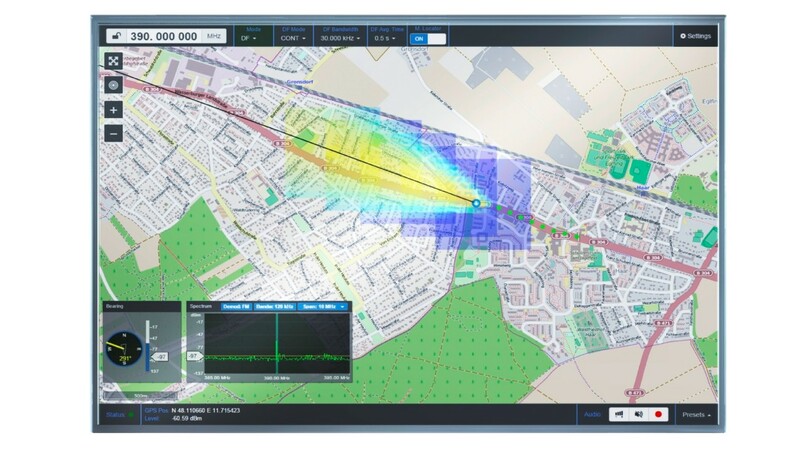 Rohde & Schwarz has a large portfolio of interference hunting products. Ranging from fixed and mobile monitoring sites to transportable and handheld solutions, they enable operators to verify, identify and locate any radio interference they might encounter. Stationary and mobile monitoring stations work with efficient software to provide different ways to verify and locate radio interference. Spectral displays visualize unwanted emissions on affected frequencies. Demodulated audio can give operators valuable clues as to the source of radio interference. Rotator-controlled directional antennas are useful for separating interference from wanted signals. For interference caused by intermodulation, software supports operators interactively for identifying and resolving the sources of interference. Intelligent algorithms turn a direction finding vehicle into an efficient interference hunter. Even temporarily car-mounted direction finders are proven software-supported tools for intuitive interference hunting. Such systems display their strengths especially in dense urban areas, where multipath propagation of signals usually confuses operators. Software-supported statistical analysis of the bearings guide operators to the target. Color-coded probability clouds on a digital map show the way to the source of interference. Transportable radiomonitoring stations can be positioned in areas where occasional interference has been reported. Large-scale-event monitoring and other temporary operations may also require transportable units. Operating autonomously or controlled from a control center or an attended radiomonitoring station, transportable units can process any emission. Automatic measurements are user-configurable with regard to their time and measurement types. If results of these automatic measurements exceed definable limits, the systems can trigger alarms and further measurements for more detailed investigations. Portable receivers and handheld directional antennas give operators maximum flexibility. Together, they form small but effective systems for simple measurements and manual direction finding. Portable direction finders can take bearings more accurately, even on short emissions. They are operated on the move or as a temporary setup by using a tripod. Portable receivers and direction finders provide maximum flexibility in many environments where vehicles have no access.